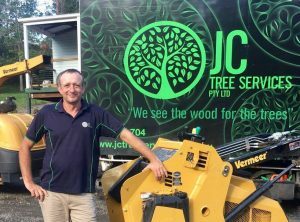 Why Choose JC Tree Services? We will offer competitive pricing. The site will be left clean and tidy. Safety of our team and clients will always be our highest priority. Professional tree services in Nerang, Burleigh Heads, Coomera, Helensvale, Mudgeeraba, Robina, Southport, Surfers Paradise and all other suburbs of the Gold Coast. Brisbane southside tree services including Mt Gravatt, Rocklea, Sunnybank, Forest Lake and Springfield. Scenic Rim tree services extending to Tamborine, Canungra and Beechmont. Northern NSW tree services including Tweed Heads, Kingscliff, Hastings Point and Murillumbah.